About Us - Ave Realty, LLC. Our Company’s mission is customer oriented and results driven. We strive to provide you with above and beyond service, which consists of expert knowledge and competency, cutting edge analysis, marketing that works, and, ultimately, value. 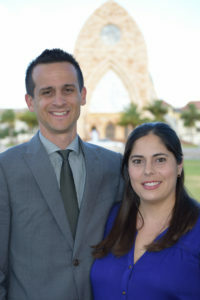 Raymond and Christina both attended Ave Maria University, and moved out here to Ave Maria Town at it’s inception in 2007. After university, Christina obtained an advanced degree in Medical Technology at FGCU. Raymond attended law school and became a member of the Florida Bar. Committed to living here in town, they started selling the place they love to others.